Dr Austin Hill is a native Floridian, originally from Ft. Lauderdale. He is a proud Gator fan and graduated from the University of Florida in 1983 with a degree in Chemistry. Dr. Hill then attended and graduated from the University of Miami in 1987 with his Doctor of Medicine degree. His training in Urology was completed at University of Cincinnati for the 6 years from 1987 – 1993. Dr. Hill has been in continuous private practice in Urology in Bradenton since completing his residency in 1993. His Urologic areas of interest include female incontinence and reconstruction, urologic cancer, stone disease, voiding dysfunction, treatment of prostate diseases. Dr. Hill was the first urologist in Manatee County to perform radioactive seed implants for prostate cancer (1993), ambulatory outpatient prostate surgery (1994), laparoscopic removal kidney stones (1995). He has proficiency in both open surgical and minimally invasive surgical and as well as non-surgical treatment of prostate cancer, kidney cancer and non-cancerous enlargement of the prostate. Many of the most common procedures are now done in the office setting or our on-site surgery center, Riverwalk Ambulatory Surgery Center, for the comfort and convenience of the patient. Dr. Hill has been very active in the medical community. He has served as Treasurer, Secretary, Chief of Surgery and as Vice Chief of staff of Manatee Memorial Hospital. He has served as President of the Manatee County Medical Society, and President of “We Care,” an organization founded by Manatee County physicians that annually provides over $200,000 of free care to residents of Manatee County. 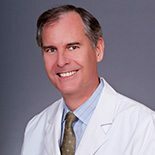 He has served a delegate to the Florida Medical Association, representing Manatee County physicians, serves on the Florida Urologic society executive committee, and is a Florida representative to the Southeast section of the American Urologic Association. Dr. Hill is also a founding member of the Manatee Surgical Center and Riverwalk Ambulatory Surgery Center. Dr. Hill is the president and managing partner of Urology Partners. Dr. Hill and his family are active members of the First United Methodist Church of Bradenton. Mindy, his wife of 20 years, is active in charity fundraising, having served as president of the Manatee County Medical Alliance and active in raising money for Children’s Haven, Rubonia Day Care for migrant workers’ children, Women’s Resource Center and Hope Family Services for the last 15 years. Dr. Hill and Mindy are the proud parents of three great kids, Hayden, Ethan and Corinne. Dr. Hill is proud to be a member of Urology Partners and to be a part of the investment in the future of Urologic care in Manatee County.